The organization of Retired Persons “Wisdom Ripening” is preparing for its 5-year anniversary. Quite recently the elder people of Tuymazy city could not even imagine how interesting and exciting their lives could be in retirement. How life of pensioners and the society’s attitude towards them has changed with the foundation of the organization of Retired Persons “Wisdom Ripening” is in our report. Time flies: adolescence, youth, manhood … and there’s old age just around the corner. In retirement, many people are in crisis: the status of the individual in the society and the family is changing. They have a lot of free time. The mission of the organization of Retired Persons “Wisdom Ripening” is to make the elderly feel their usefulness for the society, have the opportunity to communicate, not to lose motivation, interest in life, not feel lonely. Lilia Gajnetdinova, an active member of the organization of Retired Persons “Wisdom Ripening” says:” I am very pleased to have joined the Organization and I am an active member of the society at the age of 75. I myself feel and everyone says I am prettier, healthier now. I seldom go to hospital. Our local doctor says, that he recommends his family members, relatives and patients to follow my way of life. The first meetings of the Board of the Organization were held in the apartment of its founder Gulnara Minnigaleeva. Now the Organization has its own Office, which hosts meetings and classes for pensioners. The Organization has a great influence, at both local and regional level. Before the appearance of the organization, there were not any projects. The attitude of the pensioners themselves is changing, which in turn affects the attitude of the State towards them, says Chairman of the Board. Indeed, the Organization members not only attend the University of the Third Age, but take an active part in most volunteer activities. At the national meeting on work with families in difficult life situations, the authorities noted the participation of members of the Organization in the project “Grandmothers for children” Ilvira Nasibullina, President of the Women’s Council of Tuymazy district stressed the importance of not- profit organizations, such as the organization of Retired Persons “Wisdom Ripening” and called upon the audience to help them. 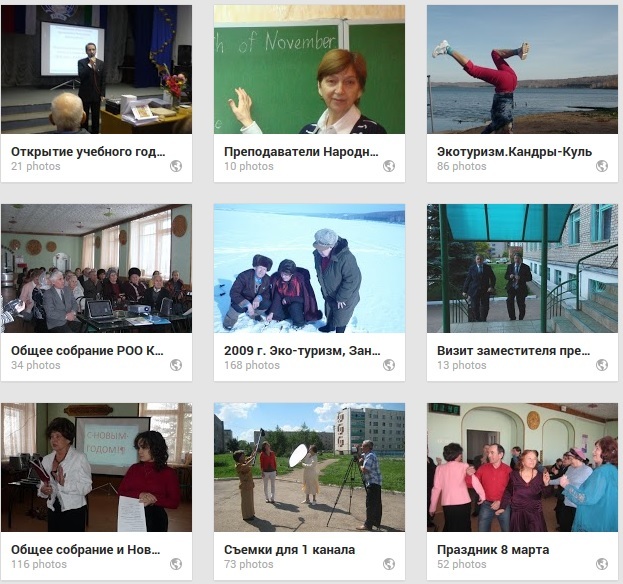 Members of the organization participate in many other projects, such as “Grandmothers for grandmothers”, “Ecological subbotniks”, “Colorful” stories, “50 +” TV studio, contests of Internet sites, documentaries, and so forth. Local authorities and residents appreciate the Organization’s contribution to the development of the city and district. Rashit Khairullin, Head of administration of the district highly appreciated the activities of the organization of Retired Persons “Wisdom Ripening” “, he approved of the participation in conferences that help apply the best foreign practices in our city. He also noted our program “50 +” “You find plots for TV shows. They are very necessary, and when you raise these problems, we try to eliminate bad things in our life» The organization is constantly growing and developing. We are known in the Republic, and others follow our example. Lenara Ivanov, Minister of Labour and Social protection of Bashkortostan at the round table in Ufa declared: «We are the successors of the Tujmazy ideas and created Third Age Universities throughout the Republic and supported their other projects. We have planned a number of activities with our partner – the organization of Retired Persons “Wisdom Ripening”. We hope that you will spend master classes, round tables and share your experiences in this field» The experience of the organization is rich and in demand not only in the Republic, but at the international level as well. It represents Russia as a non-governmental organization, adopting advanced ideas of other countries and generously sharing its own one. Recently our organization received a new invitation from Washington to a Conference in Shanghai. We cannot stop the flow of time, but we are able to manage the quality of life. If you are not sure where to start your new lives, join the Organization of Retired Persons “Wisdom Ripening” and find new opportunities!